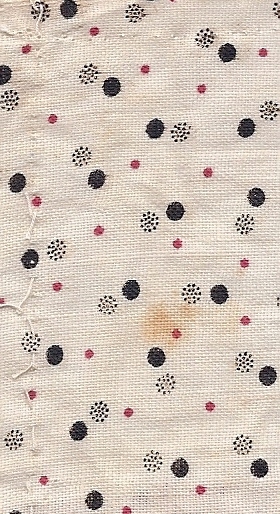 A dot....a most basic shape and a perennial favorite of textile designers. 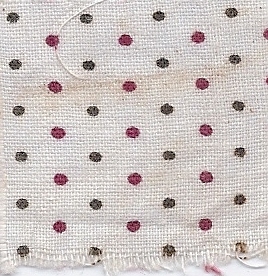 This sample has two colors, red and brown, in very orderly rows and is one of the patterns in my new line, Margo's Favorite Shirtings by Newcastle Fabrics, to be premiered at Quilt Market in Kansas City next week. Along with this document coloration there are two other combinations, black and taupe on off white, and black and medium blue on cream. 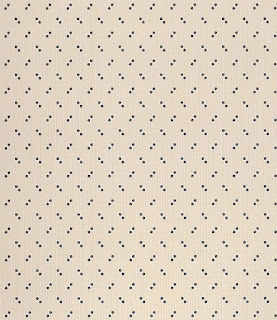 Pin dots....a important basic of quilting cottons during the mid/late 1970s....the second Quilt Revival of the 20th century. A change in spacing...same simple dot. Fabric printers of the early 19th century often called these...Polka Dots....trying to capitalize on the newest dance craze...the Polka, a Bohemian folk dance wildly popular in Great Britain and the United States by 1845. 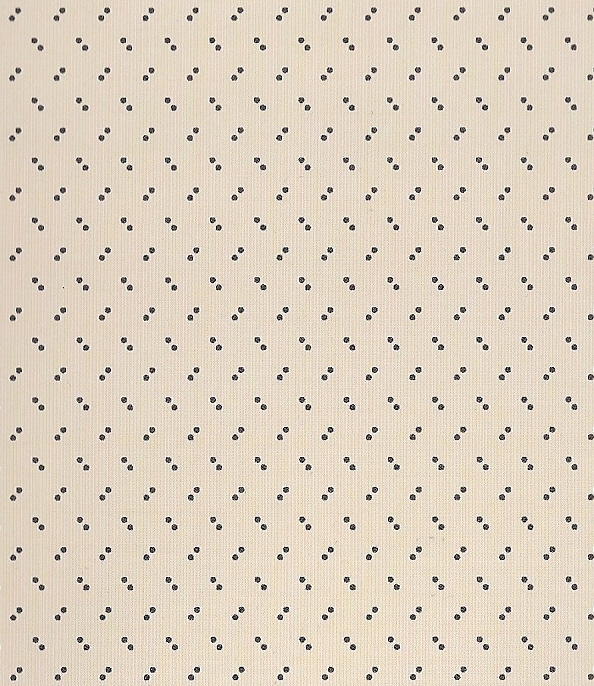 Pairs of dots. This is also from my new line, Margo's Favorite Shirtings (19th century styles). An added element...a Spring Bouquet. 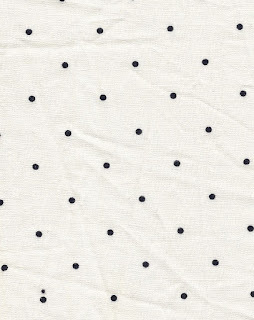 This design is also from my new line of shirtings, to scale and the document color. When the printing machine starts, you need to do 3,000 yards to be cost efficient. 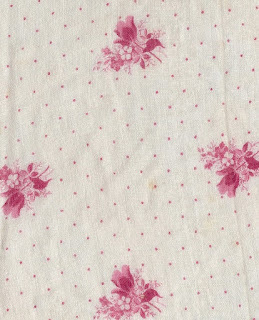 Most printers do not want all that yardage in the same color...so I choose one or two other colorations I think are typical for the time period. This design also comes in two shades of blue and two of lilac. Your shirtings are wonderful. 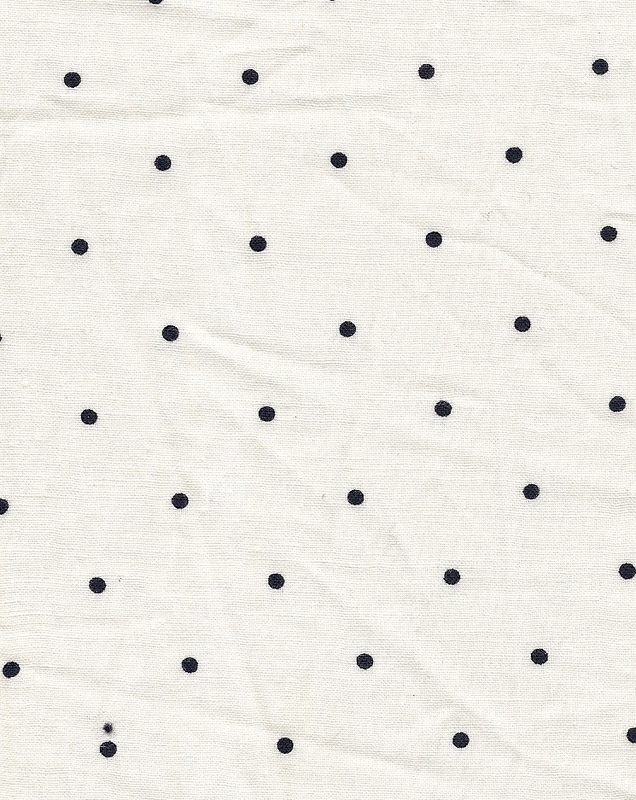 I love the dots, stripes and isolated florals. I will be picking them up in my LQS.